Birko, a leader in providing food safety solutions for the protein, further processing, produce and brew industries, launches its Elite 360 Precision Application Technology at the International Production and Processing Expo (IPPE), held Feb. 12-14, 2019, at the Georgia World Congress Center in Atlanta. Throughout the expo, Birko experts will be available to answer questions about the Precision Application Technology of Elite 360 in booth B7207, and visitors will have the opportunity to watch a video of the equipment in action. After years of research and testing, Birko has successfully introduced electrostatics and Protection with Precision to food sanitation. While electrostatic technology is not a new concept, as it’s been used to paint cars and other metal objects because of its ability to completely coat its target, it has never been used in this capacity in food processing sanitation intervention. 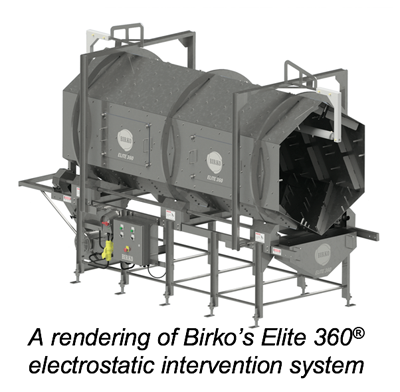 Birko Electrostatic Intervention.pngElite 360 electrostatically applies an antimicrobial intervention to cover the product, using the least amount of antimicrobial possible, while still being as effective as possible. 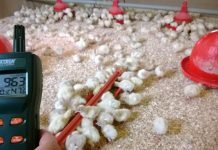 Transfer efficiency, the ratio of antimicrobial applied to the meat surface compared to the amount sprayed, was found to approach 90-100 percent in Birko’s testing. The Precision Application Technology of Elite 360 not only reduces pathogens, but it reduces the amount of chemicals applied and significantly reduces water use as well as wastewater treatment costs. 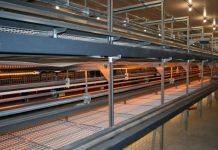 In contrast to a conventional dip tank antimicrobial application, electrostatic technology can reduce chemical and water usage by as much as 95 percent and has shown up to a 2.0+ log reduction and 360-degree product coverage. In addition to learning more about Elite 360 and the use of electrostatic intervention at Birko’s IPPE booth (B7207), expo attendees can get deeper insight into the development of the technology at a TechTalk given by Birko CEO Mark Swanson, which will take place in Hall A246 on February 14, 2019, from 12:00 to 12:20 p.m. Following Swanson’s presentation, Birko experts and representatives will be available to answer questions. Protecting the food chain for more than three generations. Saving lives. Reducing costs, liability and risk. At Birko, we take food safety seriously. Nothing is more important to us than making sure the food chain is secure, safe and pathogen free. That’s why we’re committed to turning great science into valuable new products, developing innovative custom equipment that saves time and resources through precision application, and providing excellent customer service. It’s all part of The Birko Advantage – integrated food safety solutions provided by highly trained and experienced professionals. Visit birkocorp.com to learn more about how we can be your partner in food safety.